Did you know that there are over 100 trades you can get certified in, in British Columbia? 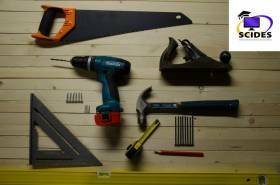 Working as a certified tradesperson does not only provide a good income, trades careers are often described as a very satisfying type of work, because you are generally working with your hands and can see tangible progress at the end of the day. What is it that you love to do? There’s probably a trade for that! SCIDES wants to support your journey into trades, and we have two fantastic programs we would like to introduce: the Work in Trades and the Train in Trades programs. 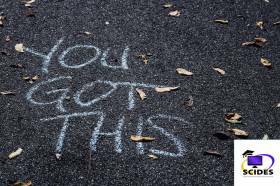 Each can be taken independently of each other, and in any order, and both of them will give you a headstart on your career and lots of other benefits. Suffering from Anxiety? Help is available! November is here and while some people are starting to feel festive about the approaching holiday season, others are feeling anxious about the exact same thing. Of course, anxiety is not something that just affects people during the holiday season. It is something that many people - including a lot of school-aged kids and teen - live with all year long. There is help available, and we've compiled a list of resources we want to share with you. The following is an excerpt from J. Abner Peddiwell’s The Saber-Tooth Curriculum, first published in 1939. Two stone-age philosophers are discussing education and, interestingly, what they say, even by 1939 standards, is not that different than modern discourse on the subject. Summer is here and that means vacation time, family time, sleeping in, and relaxing. All great things, but we think that reading needs to be part of this list as well. 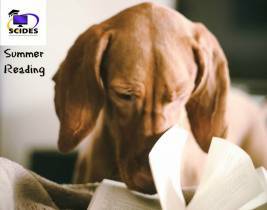 Research has shown that you lose some of your reading skills if you don't read over the summer, and there's an easy way to keep that from happening: read! 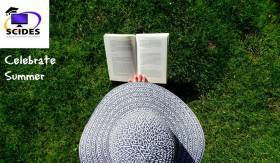 We put together some suggestions for you, and we challenge you to read at least three books over the summer break. Share with us on our Facebook page which books you're reading, we'd love to know! 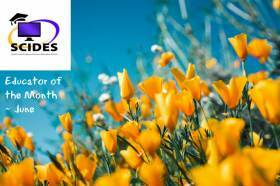 Have a great summer - and remember that SCIDES has teachers and support staff available during the summer months. Get in touch at 1.800.663.3536 or email registrar@365.sd58.bc.ca. 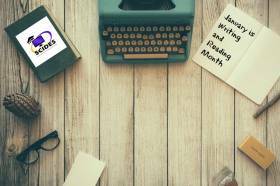 It's the last month before Summer Break (watch for our Reading Challenge coming your way!) and we're thrilled to talk to the final Educator of the Month for this school year, Mrs. Melissa Cadwaladr. Mrs. Cadwaladr, thanks for taking the time! Let's get started. Where are you from? Spring is here in the Nicola Valley and we hope you're enjoying some sunshine as well, where ever you are! We're thrilled to share our next educator of the month with you, Mrs. Kathleen Gunn. Mrs. Gunn, thank you for taking the time. Let's get started! Where are you from? We hope you had a fantastic Spring Break! We're thrilled to share our next educator of the month with you, Mrs. Cathy Southwell. Mrs. Southwell, thank you for taking the time. Let's get started! Where are you from? Mrs. 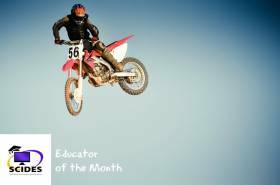 Tilt, we're thrilled to have you as our Educator of the Month for March. Tell us a bit about yourself. My name is Liana Jule Tilt and my maiden name was Greiner but my family calls me L.J.,Geaner, or Mule. I was born in Matsqui, B.C. near Abbotsford and moved around to Loon Lake, Yarrow, and eventually to Summerland in the Okanagan where I spent most of my life. 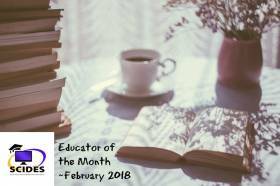 Mrs. Moore, we're thrilled to have you as our Educator of the Month for February. We look forward to finding out more about you! Please introduce yourself. My name is Liz Moore, and I have lived in Merritt for nearly twenty years. Before that, I lived in the Eastern and Midwest United States, where I attended high school and university. However, my childhood was spent in BC, and this is where I dreamed of returning. A teaching job brought me back, and I am very glad it did. Mrs. Wheeler, we're thrilled to have you as educator of the month! Let's get started! Where are you from? 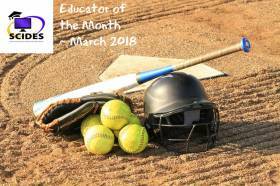 Ms. Stirling, we're thrilled to have you as educator of the month! Let's get started! Where are you from? 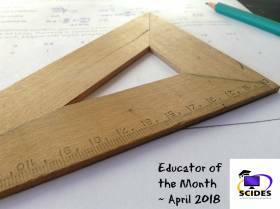 We're excited to share this month's Educator of the Month with you - Sheldon Stuttard. Here's how he answered our questions (hint: we love his answers!). Mr. Stuttard, so great to have you as educator of the month! Let's get started! Where are you from? Mr. Tilt, let's do something easy to get started: Where are you from? 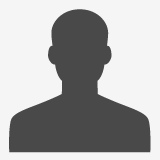 I am originally from the Kamloops area and am now a Merritt resident. 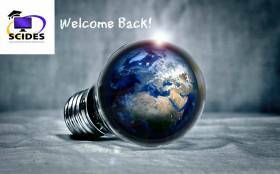 Welcome to the new school year, welcome back to SCIDES! We look forward to helping you learn in a way that works for you and your schedule. Whether you're enrolled with us full time or part time, our team is here for you all the way. 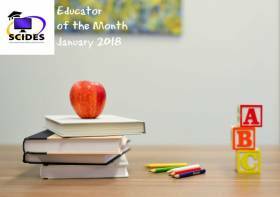 This month, we want to launch a new series on our blog, the Educator of the Month. First up is our new principal, Mrs. Karen Goetz; no better way to introduce her to you! Mrs. Goetz, we're glad to have you on the SCIDES team - welcome! Tell us a bit about yourself. "Thank you! I'm happy to be part of the team! I was born and raised in Terrace, B.C. where I still have some family. Ever since I can remember, I knew I would be a teacher. I was the first in my family to attend kindergarten (because it was a new thing back then!) and every day after school I would goad my sisters into playing “school”. When in high school, I was a member of the Future Teacher’s Club through which I got to be a student teacher, and I taught piano lessons to Pre-Kindergarten children." That does sound like you were born to be a teacher! Tell us a bit more about your path to becoming the principal at SCIDES. "It has been a great journey! I completed a Bachelor of Arts Degree in English and History at the University of Victoria and then added a year to earn my teaching certificate. 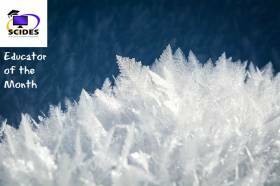 I began teaching in 1987 in a tiny northern B.C. town that doesn’t even exist anymore – Cassiar – then moved out of the “land of the midnight sun” in 1989 and arrived in Merritt where I started teaching English at Nicola Valley Jr. Secondary. In 1996 that school changed to become Coquihalla Middle School. Merritt Secondary School was the next move I made in 1999. Between 2002 – 2004, I completed my Master’s Degree in Education and in 2009 I became one of the vice principals at Merritt Secondary. I'm thrilled that SCIDES is the next step - a great school with so much opportunity for students." It's great that you're so connected to Merritt! Will you share your favourite aspect of teaching and your favourite book with us? My favourite aspect of teaching is pressing for critical thinking and being able to engage in those sorts of rigorous conversations with students. My favourite book is Mary Shelley’s Frankenstein because of its invaluable theme of “learn from me.” I believe that we all have so much to learn from each other and learning is like healthy candy for our brains (ok that may be an oxymoron!). When we take the time to listen, think and problem solve, it’s amazing what our minds can conquer! Mary Shelley's Frankenstein is a fantastic book! Now tell us, what do you enjoy doing when you are not at SCIDES? Outside of everything education, I enjoy my family, weight lifting, travel, and shopping. My husband and I have three adult sons who are all pretty close to being established in their various career paths. I am super proud of them all. And finally, what's your best advice to a student who is not sure what to do after graduation? My best advice to anyone is to get some sort of post high school training. The world opens up to those who go beyond and we discover things we never even knew existed. It’s exciting! Thank you, Mrs. Goetz. Glad to have you on our team! Do you have questions about how we can help you take charge of your education? 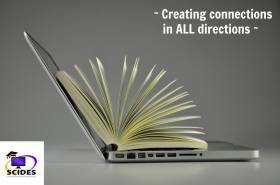 Connect with us via our website, where you can also browse course and program options, and find study tips for elementary and secondary students. Can you believe that another school year is coming to a close? It seems like we just got started, but in a few weeks, the next set of SCIDES graduates will walk up to the stage to receive their well-deserved diplomas. SCIDES graduation takes place on Tuesday, June 20th, at 11 am at the Merritt Civic Centre (with an informal gathering starting at 10:30am), and we would like to extend our heartfelt congratulations to all our students. You all worked hard for this, and it’s a great accomplishment. You did it! 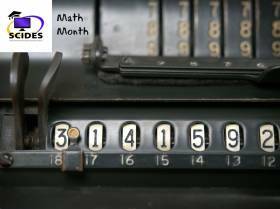 Summer is approaching fast, and before we jump into our yearly celebrations in June, we want to share another exciting topic with you: Math! Yes, math is exciting, and not just for mathematicians. Math is used in many professions, including air traffic controller, architect, astronaut, forensic analyst, nuclear engineer, stockbroker, and urban planner. 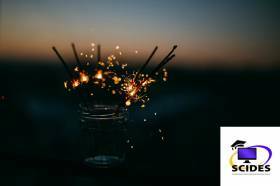 But today we’re not talking about the careers that math makes possible (we talked about careers in general in one of our recent blogs), we want to highlight a few other interesting things for you. How was your Spring Break? We hope it was fantastic and you had a chance to relax and explore. Maybe one of the things you explored was your potential career path, and in case you haven’t read it yet, we encourage you to check out our last blog post about a possible career in trades. 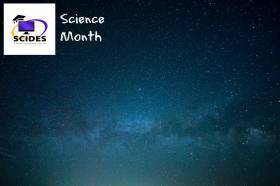 This month, we celebrate Science Month at SCIDES. March is here, and Spring is just around the corner. Doesn’t seeing nature awaken all around you make you want to try out new things and plan for the future? 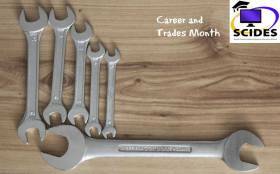 That’s great, because it’s career and trades month at SCIDES, and we want to show you how you can earn credit for your post-secondary education while you’re finishing up high school. Hard to believe the first month of the new year is already over, but here we are: it’s February! We hope you had a chance to test the waters with journaling in January; if you missed our writing prompts, you can find them here. It’s never too late to give journaling a try. 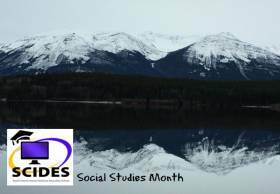 This month we celebrate Social Studies Month at SCIDES. Social Studies are an important part of the core curriculum. They encompass world history, as well as a closer look at Canada, while also considering human society, political science, philosophy, and more. 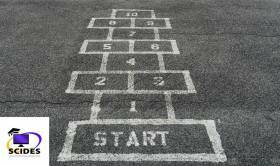 A broad and very interesting field, with many opportunities to create your own learning plan. Contact us at SCIDES to find out more about individualizing your education! At SCIDES, we have some great options for adults looking to graduate or upgrade. Not sure what your path could look like? Whether you've graduated or not, there's a program for you! Check out our infographic, and connect with us to discuss your path to success! Happy New Year! We hope that 2017 will bring you happiness, health, and inspiration. For this month’s blog post, we want to help you kick start your inspiration, with 31 journaling prompts. Write your heart out, then come back to read through it, and get inspired to take action. Set a timer for 10 minutes, pick a prompt, and start writing unfiltered. Whatever comes to mind, write it down. Don’t’ worry about grammar or editing (yes, we said that), just get your thoughts onto paper. You’re only writing this for yourself, not for marking! If you get into a habit of journaling, you’re in good company. Albert Einstein, Marie Curie, and Mark Twain regularly wrote in their journals. And journaling is not a thing of the past, people like Lady Gaga and Jennifer Aniston are avid note takers. It’s the last month of 2016, and we’re celebrating Language Month at SCIDES. Did you know there are over 6,900 languages in the world? There are 6,909 to be exact, as documented by the Linguistic Society in 2009. That’s close to seven billion people in the world, speaking over 6,900 languages – wow! Some languages are only spoken by a handful of people, while the most-spoken language in the world (by population) is Chinese, with over 1.2 billion native speakers. Can you believe fall snuck up on us like that? 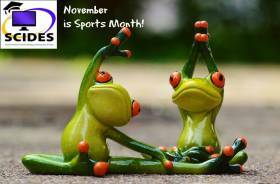 It’s in full swing and we’re dedicated to staying healthy and active during the cold and wet season – so we’re declaring November Sports Month at SCIDES! Let’s have a look at what we can do for you and your fitness (if you participate!) and what’s in store for this month. 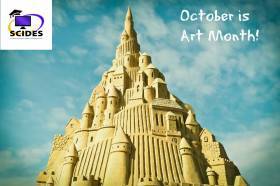 October is Art Month at SCIDES! We’re kicking off the new school year with creativity. Last school year, we had Art Month in May, and you can read about it in our blog archive. Just like last time, we have another trip planned to 4Cats Studio, and we’ll be offering various activities at SCIDES and online. But there is more! On October 21, 2016 is a non-instructional day (in School District 58), and we challenge you to create something that day. In our last blog post, we talked about study and success tips for students in Grades K-9. This month, we want to tell our students in Grades 10-12 how to settle into the new school year, get the most out of their experience at SCIDES, and have a successful academic year. Before you know it, summer will be over (we know, unfair! ), and it’s back to school. If your kids are enrolled at SCIDES, you’ll have a lot more flexibility in the new school year to adapt your children’s education to your family’s needs. 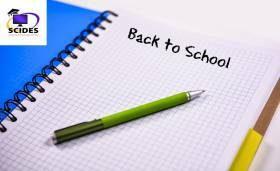 Doing school at home is especially rewarding and challenging in grades K-9; while you can always count on the support from the team at SCIDES, we also want to share studying tips that work well for younger kids, so you’re off to the best possible start for the 2016/2017 school year. 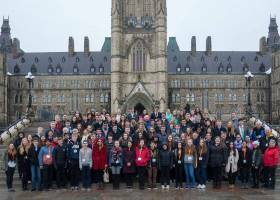 Encounters with Canada is a wonderful organization that offers youth ages 14 - 17 the opportunity to spend a week in our nation's capital. With different themes like Arts & Culture, Communication & Social Media, and Youth & Democracy, the week in Ottawa is an unforgettable trip for those who participate. 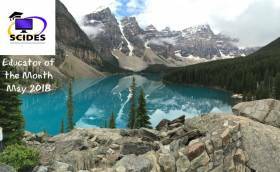 Several of our students have taken the opportunity to go (SCIDES offers up to $600 towards the trip - ask Mrs. Eves for all the details); and this month we asked one of the recent attendees to tell you about his experience. 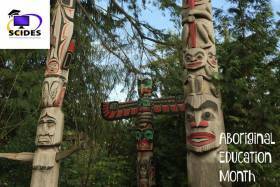 Last month was Art Month at SCIDES, and one of the things we talked about in our blog was Aboriginal Art in British Columbia. Aboriginal Art has been around in BC for thousands of years. We are very lucky to live in a province with such rich aboriginal culture and heritage, which is often reflected in the art created by First Nations artists. But of course there is much more to aboriginal culture than arts. This month, we want to celebrate aboriginal education and highlight the programs we offer, as well as the much needed progress that has been made in incorporating the aboriginal voice into our curriculum. 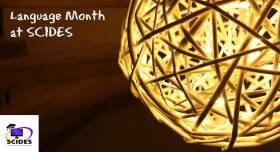 Last month was Earth Science Month at SCIDES, and this month we're getting artsy - May is Art Month! We're talking about a few exciting field trips, BC artists past and present, post-secondary art schools in BC, and Aboriginal art in our province. 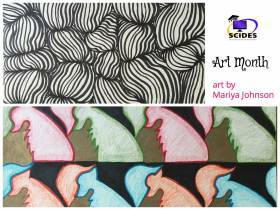 Of course we also want to let you know that we offer Art Classes at SCIDES, and we're thrilled to feature the art work of SCIDES student Mariya Johnson in our blog picture this month, who's taking Art 12 right now.